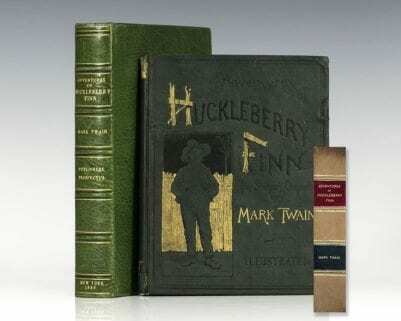 Mark Twain) Clemens, Samuel L.
First edition of Twain’s masterpiece, with the first state of the frontispiece portrait. Octavo, original publisher’s decorated green cloth gilt to the spine and front panel. 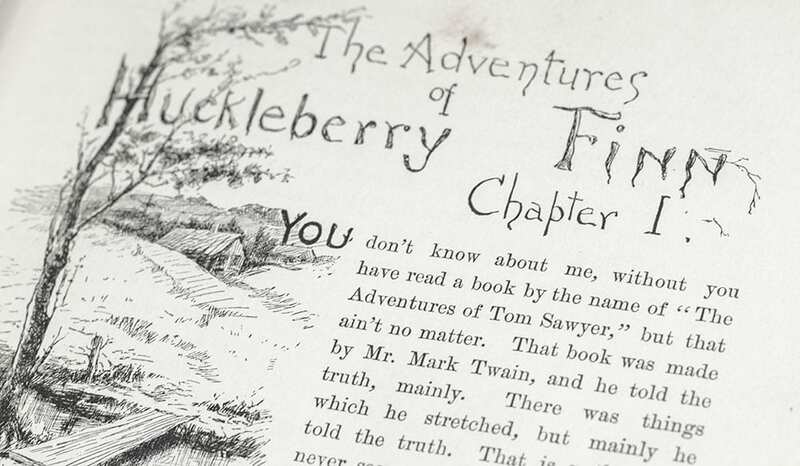 With frontispiece portrait of Twain inserted at front (with the imprint of the Heliotype Printing Co., but the cloth is not visible). This example exhibits the following issue points: title leaf is conjugate. 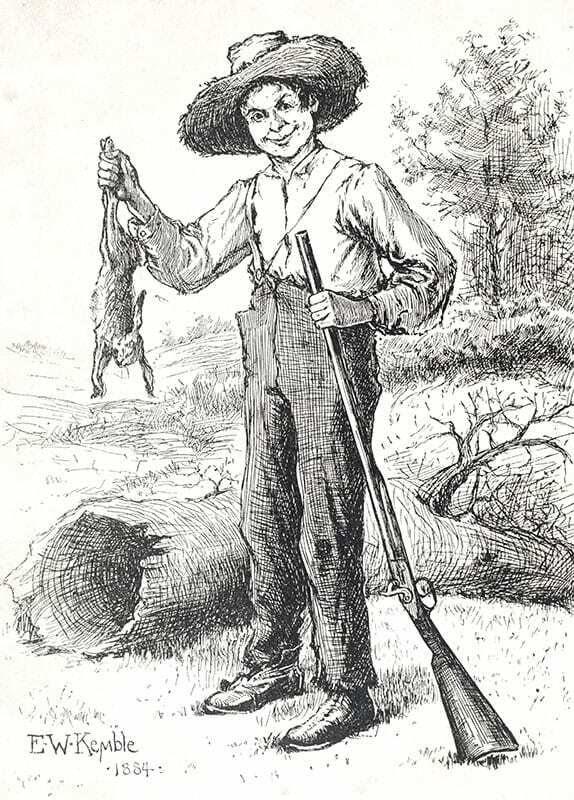 Copyright notice dated 1884; the illustration captioned “Him and another Man” [p.13] listed as p.88 (first state); 11th line from bottom of p.57 reads “…with the was…” (first state); p. 283 is an integral leaf with the corrected engraving; the final 5 in the numeration of page 155 is larger than the first and slightly below the others; leaf 23-8 is present as a blank; first state of the frontispiece portrait (imprint of Heliotype with tablecloth visible). In near fine condition with light toning to the extremities. A very bright example. First edition of Twain’s masterpiece, Salesman’s Dummy Issue. Octavo, original publisher’s decorated green cloth gilt to the spine and front panel. With frontispiece portrait of Twain inserted at front (with the imprint of the Heliotype Printing Co., but the cloth is not visible). This book was specially printed to have a selection of text pages, so it is common for the recto of one page to have a certain page number, and the page number on the verso to jump by several pages. 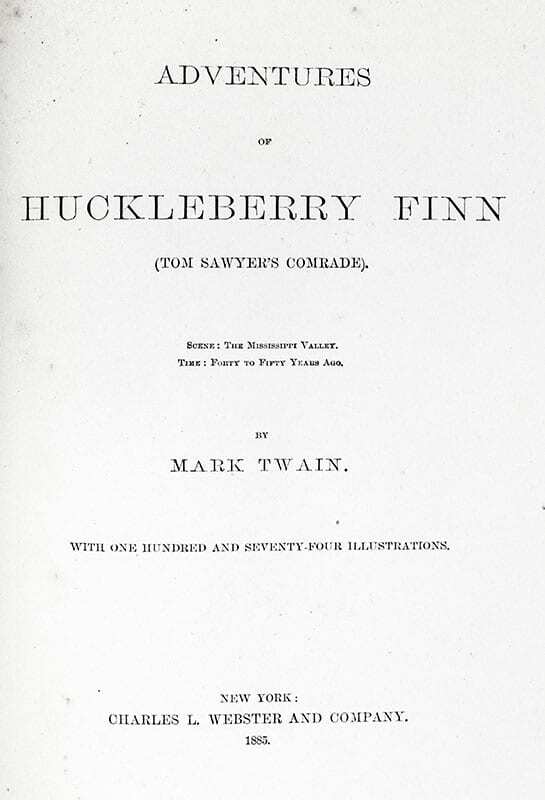 Because of this, this book only has some of the issue points that a copy of Huckleberry Finn would have: the title-leaf is integral, with the “1884” copyright date (this is the true first state, and it only appeared in the salesman’s dummy); page  lists “Him and Another Man” as being on page 88 (first state); “Huck Decided” on page  (first state). The Silas Phelps illustration on page 283 has a straight fly, but the leaf is integral with page 287 printed on the verso. 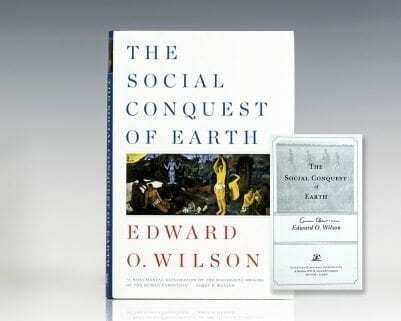 Page 57 was not printed for this edition. Two samples of the spine were affixed onto the front pastedown – one is missing, the other, the spine for the sheep binding, is present. Publisher’s full green cloth, boards decoratively stamped in gilt and black (the front board is identical to the design of the cloth version, the rear board shows the design of the spine of the cloth edition). 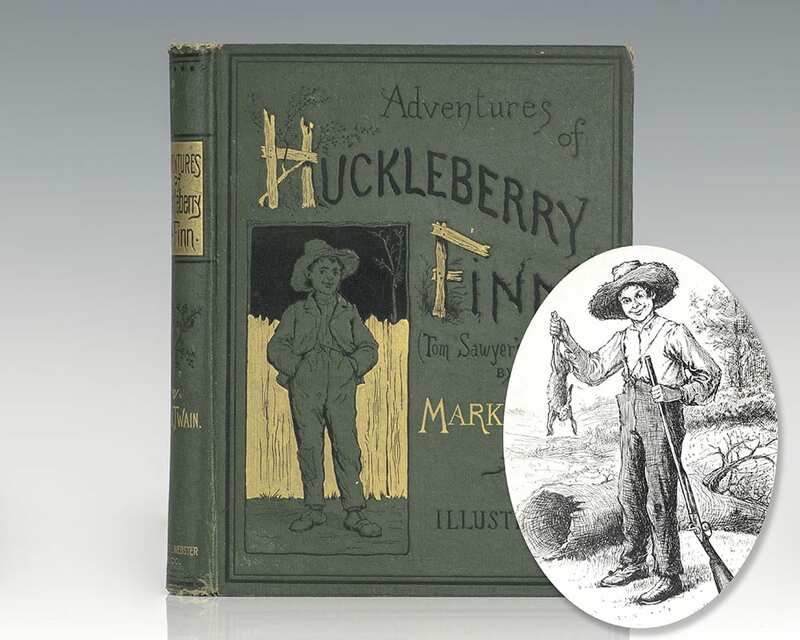 Plain spine is damaged and torn, boards are toned and worn, with a bump to the fore-edge of the front board, front free endpaper is nearly detached, and has offsetting from the spine samples, the gutter facing the first blank is cracked. Contemporary gift inscription and some offsetting on first blank, tissue guard lacking on frontispiece portrait, text leaves and frontispiece are soiled and toned, two sheets of the lined pages have subscriber’s information in manuscript, In very good condition. Housed in custom full morocco clamshell box. Exceptionally rare.